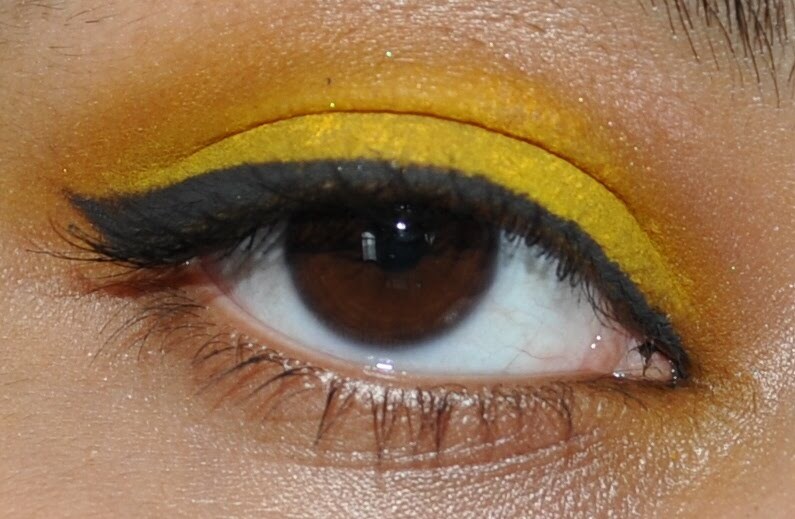 The shadow I used was Sugarpill Buttercupcake and it’s the best yellow that I’ve used so far because it’s so pigmented! I have a few of the Sugarpill products and I love them all so I thought I’d write up my long overdue review on the brand. I’ll tell you now that this is going to be a really positive review because I’m really happy with the brand, the service and the products. I decided to order some of the loose pigments and 2 of the palettes after reading so many rave reviews and I settled on the Sweet Heart palette, Burning Heart palette and the Goldilux and Tiara loose shadows. The palettes were $34 US each and the loose shadows were $12 each. I put my order through on the 15th of December 2010 through http://www.sugarpillshop.com/ and it arrived on the 30th of December which is quite a decent shipping time. Suparpill offers flat rate shipping of $5 on all US orders and free shipping on all international orders over $75. For orders under $75, international shipping is between $6-$12. 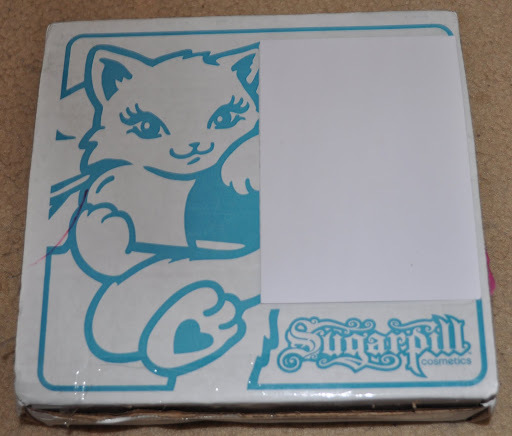 I love when a company goes that extra step to make their packaging look nice and I love that Sugarpill’s online orders are sent to you in a Sugarpill cardboard box with the Sugarpill cat on the front. So cute! : You open up the box and all the items are nicely packed in hot pink tissue paper which I also love because you feel like you’re opening a gift rather than just an order. Amy, who’s the owner of the brand, was nice enough to include a Sugarpill sticker and a sample of one of the other pigments with my order. 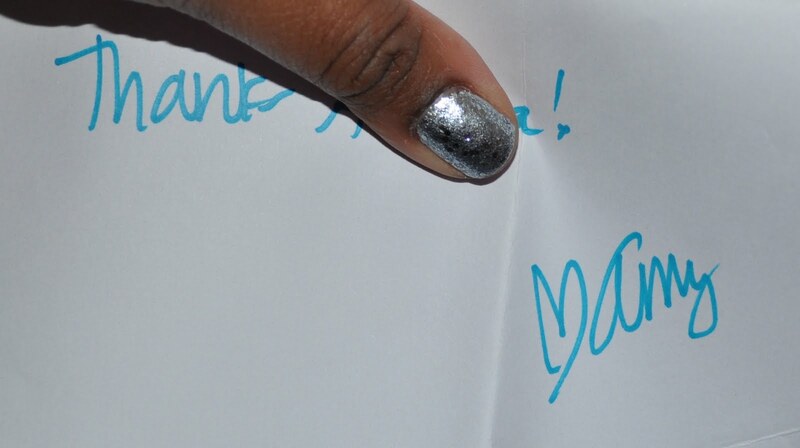 I love the little personal touches like the fact that Amy writes you a personalised thank you note on your invoice! The cover art on the palettes is gorgeous and even though they’re made out of cardboard they don’t feel cheap because they’re so sturdy. They have a magnetic closure on them and when you open up the palette there’s a really decent sized mirror inside. You get a really good amount of product for your price and each eyeshadow pan contains 4g of product. This might not mean much to you but when you consider the fact that you get only 1.3g in a MAC shadow, the value is incredible, especially if you live in places like Australia where one MAC eye shadow will cost you $30! The first palette I purchased is the Burning Heart pallete and the colours are Flamepoint (orange), Buttercupcake (yellow), Love+ (red) and Poison Plum (purple). 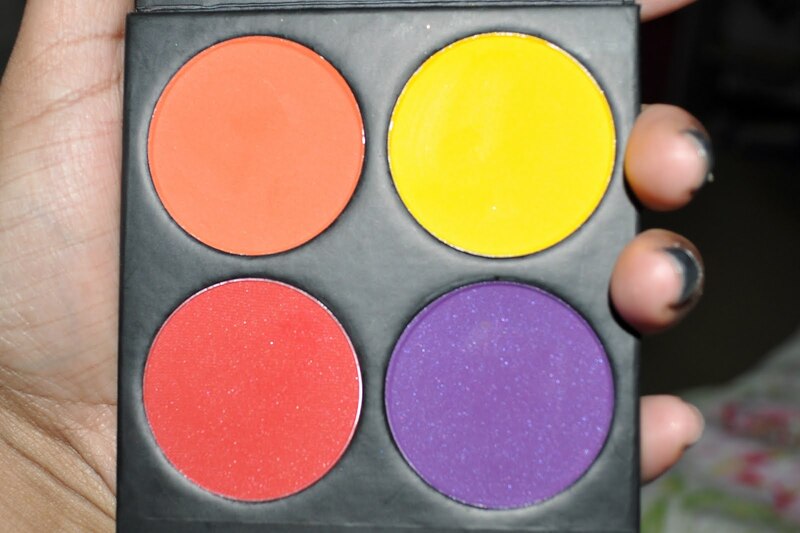 My brother refers to this as my clown makeup and I can see why but this palette is still gorgeous! 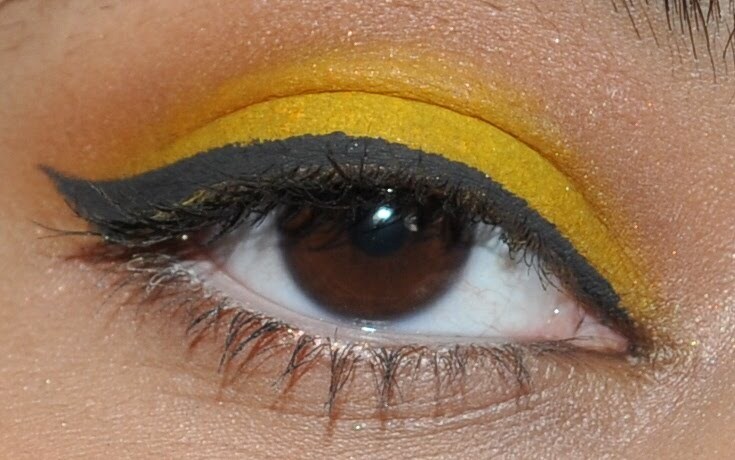 It looks unwearable because of how intense everything is but you can easily tone these down if you want. 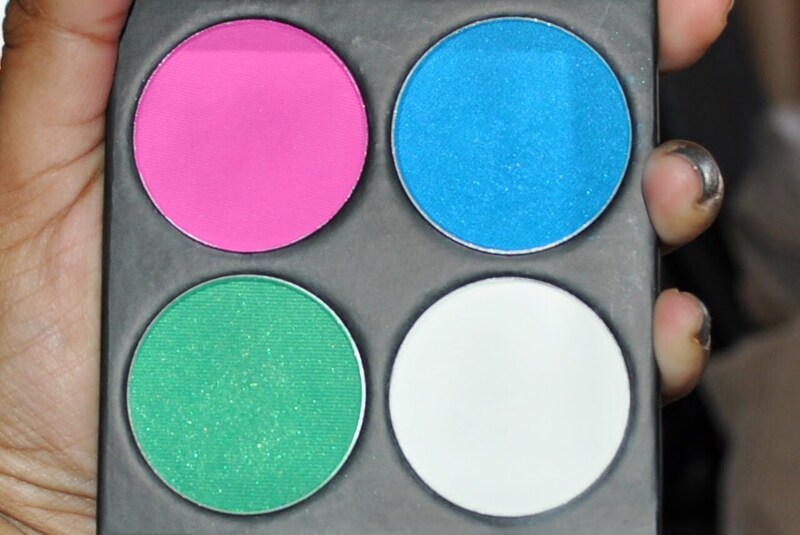 The other palette I purchased is the Sweet Heart palette and the colours are Dollipop (pink), Afterparty (blue), Midori (green) and Tako (white). I swatched both palettes below with the shadows swatched on bare skin in the top row and over Urban Decay Primer Potion on the bottom row. 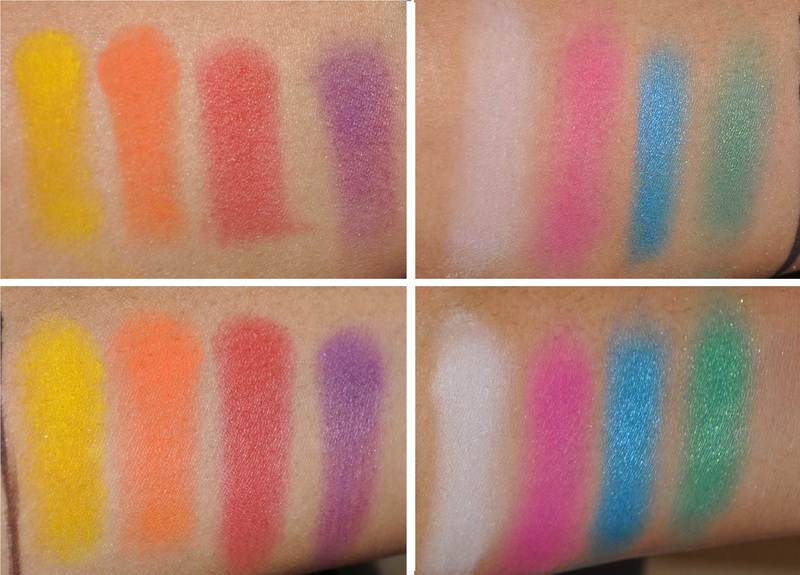 You should be able to tell from the swatches that these shadows are super pigmented! 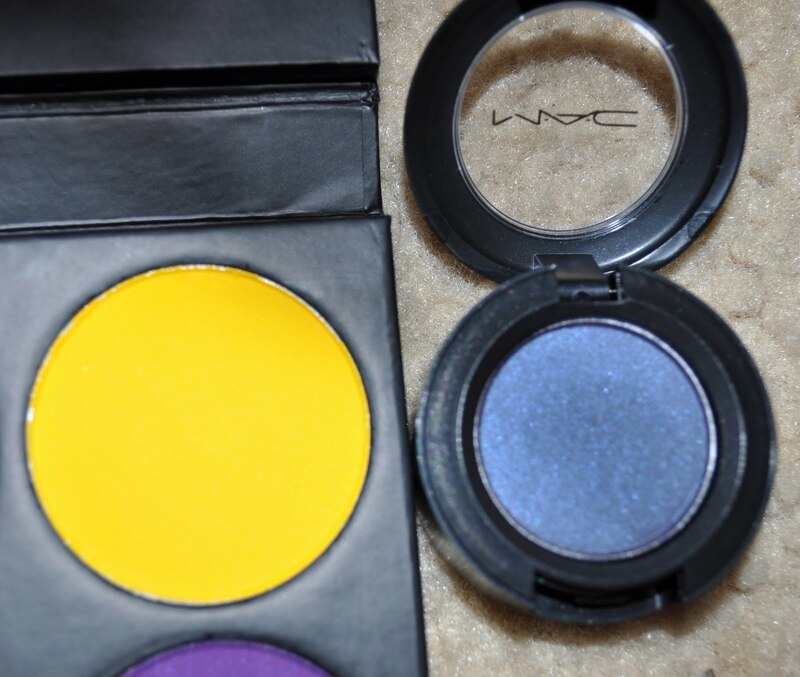 They’re so pigmented that they actually stain your skin sometimes so I always like to layer these over a base. I think putting them over a base also makes them easier to work with and makes them look more vibrant. I’ve read alot of reviews saying that these shadows are all really soft but to me the only ones that actually feel really soft to the touch are the white, orange and yellow. The others are lovely but they’re just not as finely milled. This isn’t really a big issue but it does mean that you have to pat the colour on to get an even distribution across the lid. My favourite colour out of all of these has to be the blue because I don’t have another blue like it in my collection and it’s such a gorgeous shade! It has a slight shimmer to it but I really like that the shimmer shades from this brand don’t look obnoxiously shimmery so they tend to have more of a satin finish. Sugarpill also offers one other palette called the Cold Heart Palette which has the white, black, purple and blue shadows in it but I didn’t see the point in buying it just for the black. These shadows are all offered on their own as well so if there’s a particular shade you want you can buy it individually for $12. 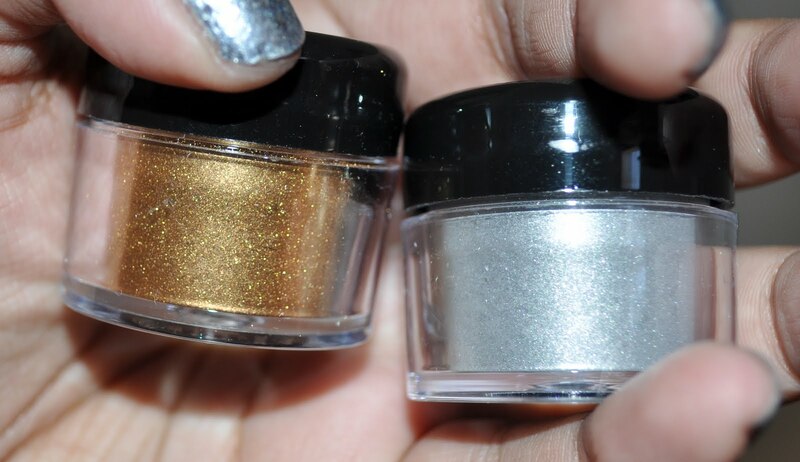 I also picked up the Goldilux (gold) and Tiara (silver) loose shadows and they are gorgeous! Tiara is probably easily dupeable but Goldilux is the most beautiful gold shade I’ve seen. It literally looks like powdered gold and you have to see it in person to appreciate how stunning it is! You get 5gms of product in each jar and that’s more than enough to last you a lifetime. The only problem I have, and it’s a big problem… I’m allergic to it 😦 I’m allergic to quite a few metals and I bought this without checking the ingredients and unfortunately it does contain some that I’m allergic to so just watch out if you have a metal allergy. Here are some swatches. I also swatched the sample I received which was called Weekender. I swatched them dry and then I swatched them applied wet with a bit of Fix+. 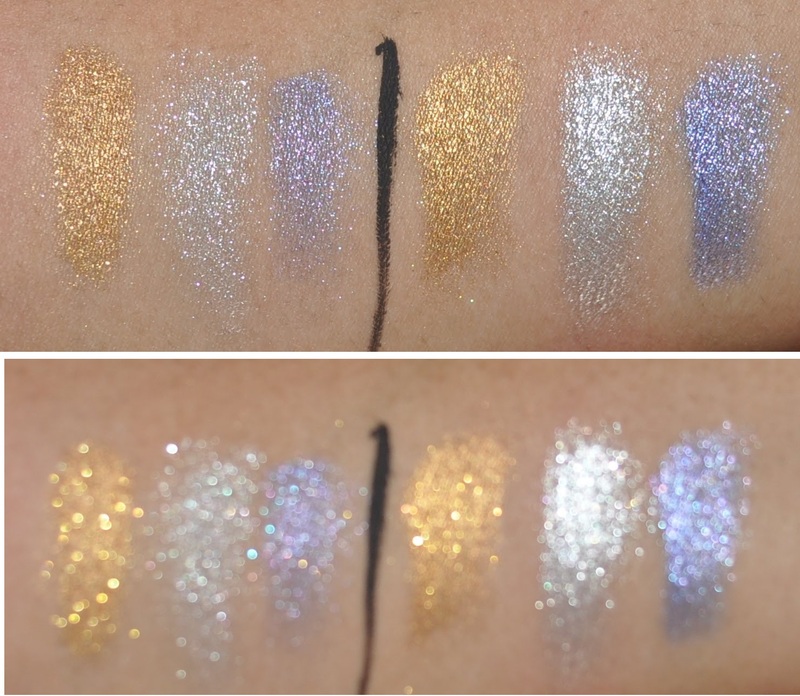 The bottom pictures are blurry but capture how metallic these shadows are. So pretty! I told you this would be a positive review! I really liked everything about the brand and its products and I would easily give it a 9 out of 10. 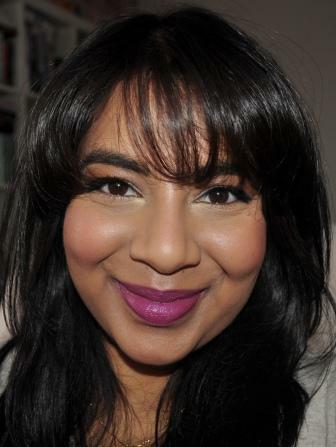 It would be a 10 out of 10 if I hadn’t reacted to the Goldilux loose shadow but that was my own fault for not checking ingredients before I purchased. So what do you think? 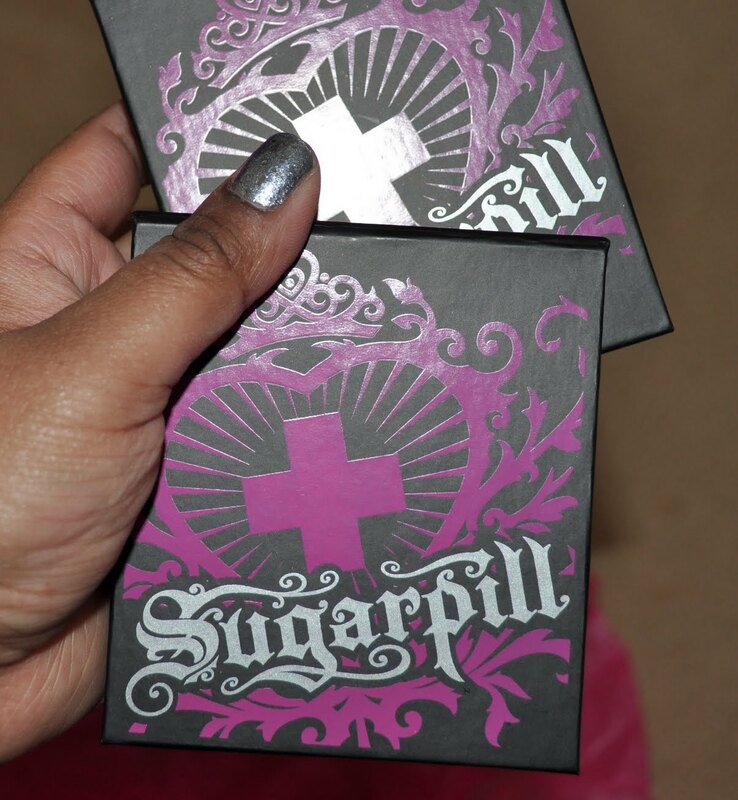 Will you be checking out some Sugarpill cosmetics for yourself? If you already have some products from this brand, how do you feel about them? Leave a comment below! Alicia: You're welcome 🙂 I love the Inglot shadows but I haven't tried any of their yellows yet. 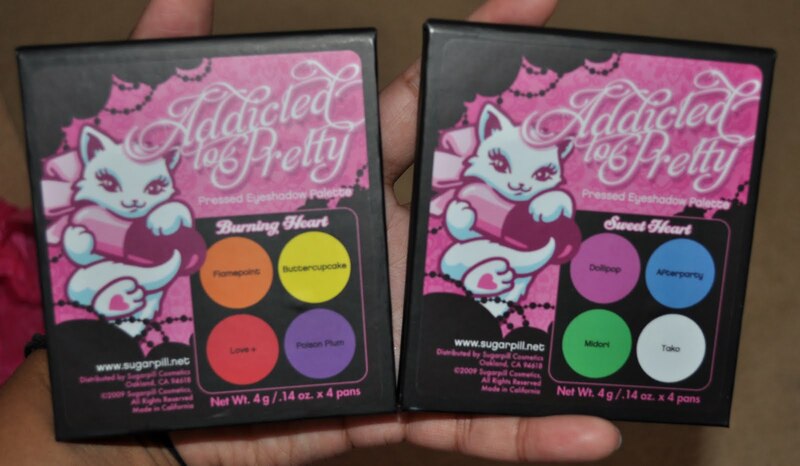 I'm assuming they'd be super pigmented judging by what I've seen but the Sugarpill one is definitely worth checking out. 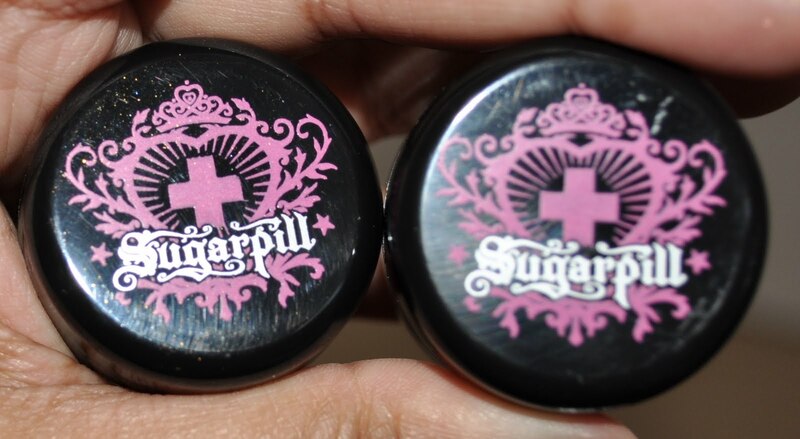 I love Buttercupcake :3 It's like one of my favorite eyeshadows. The pigmentation is amazing! i just got my sugarpill stuff and love everything! unfortunately, i had the same allergic reaction to goldilux. too bad because it really is such a pretty color!